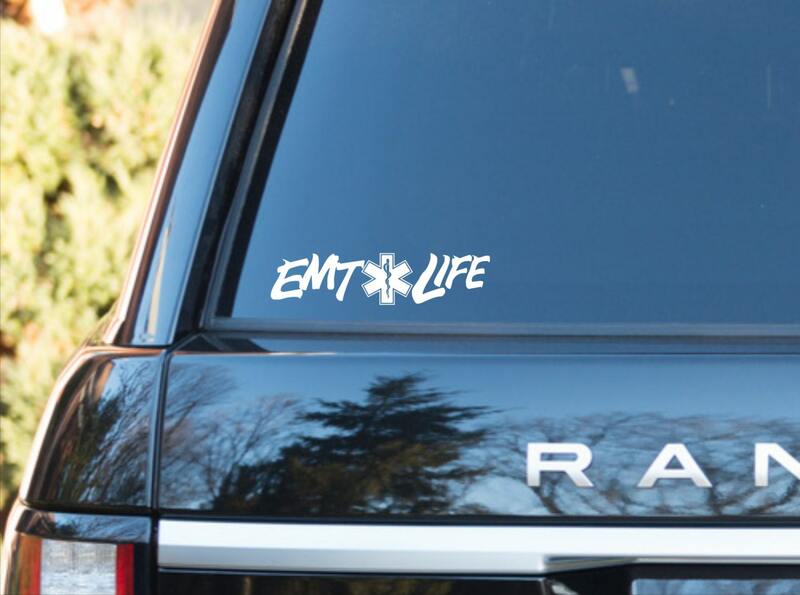 EMT LIFE vinyl decal- Popular design for a noble profession. 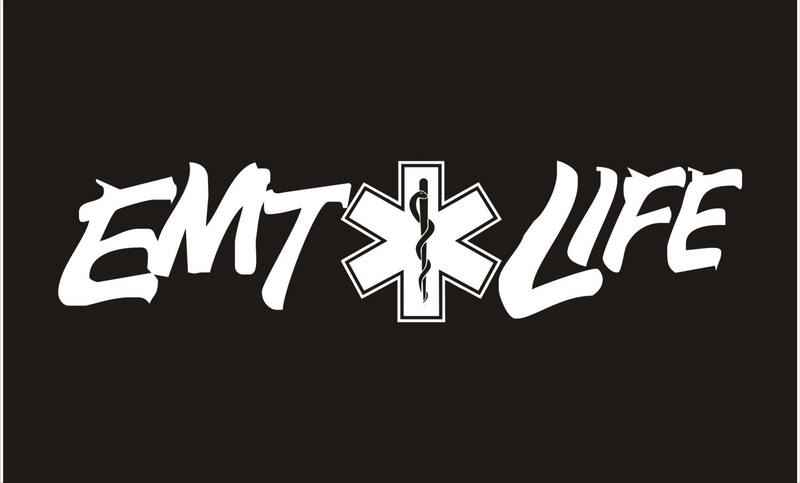 If you are an EMT, thank you for your service. Show the world that you are one of the brave who work to save lives everyday. This design is approx 2" x 7.5". We use only high-quality, outdoor premium vinyl. Easy to apply and application instructions will be included. 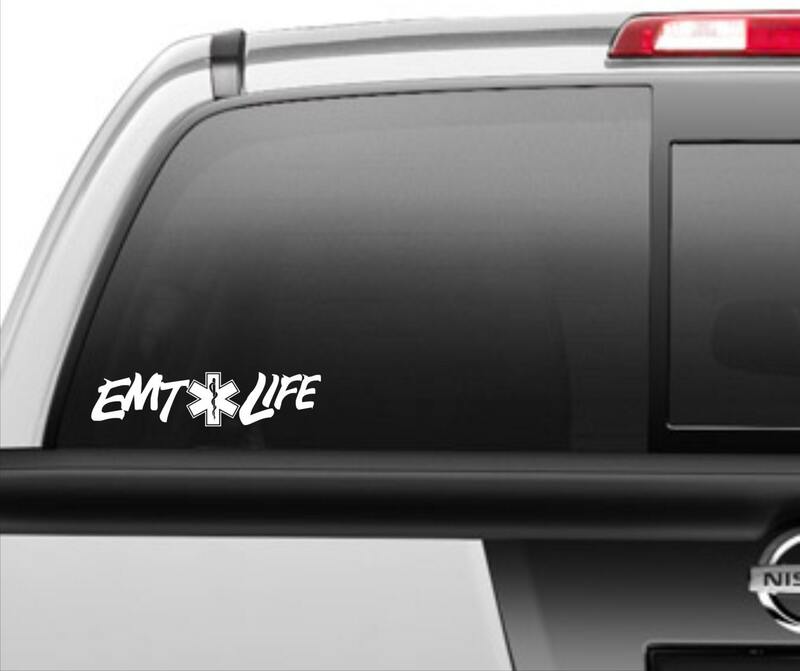 These decals will adhere to any clean, smooth surface. Great for your car, truck, RV, etc. ****ALL of our customers will receive a FREE surprise gift as a "THANK YOU". Awesome product! Awesome service! Will order from ya’ll again. Great seller, threw in a surprise extra in my package. Would recommend and will buy from again!